Born in December, 1999, Clifford �Ronnie� Osmer was a dirt track regular right from the beginning. When his dad was working on his race cars, Ronnie would drive his �black truck�, as he called it, in circles around the shop for hours, even though he was only 3 years old at the time. By the time Ronnie turned 5, his parents started talking about getting him a kart and letting him race. In 2005, the Osmer�s world shifted when their home was destroyed in Hurricane Katrina. Not sure where they would live or work, Ronnie�s race �career� was put on hold. After they settled in Pearl River, Louisiana in 2006 and life settled down, Ronnie�s parents bought him a yard kart. The first week that he had the yard kart, an older boy from down the street brought his yard kart to their house and challenged Ronnie to a race. It took Ronnie two laps on the track they built in the yard to pass the older boy and Ronnie�s parents knew it was time. By age 7, Ronnie was racing a Junior Sportsman Champ Karts on dirt tracks in Louisiana and Mississippi. After three years in karts, Ronnie moved to Bandoleros, then Legends cars, eventually to Late Models. While racing in Bandoleros, Ronnie asked his parents why the NASCAR drivers supported charities. After that discussion, Ronnie asked if he could support a charity and the family chose the local organization, STARC (www.starcla.org) and a national organization, Ride to Give (www.ridetogive.com). In addition, Ronnie continues to participate in many local events that support causes that are important to him. During his racing career, Ronnie has accomplished many things from the small town of Pearl River. He has raced in 8 different states, won multiple track championships, an INEX State Championship, Rookie of the Year in Late Models and the Speed 51.com/AR Bodies Most Popular Late Model Driver. 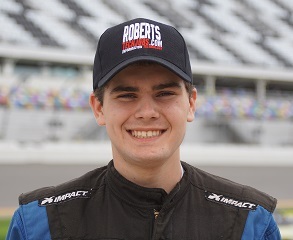 At 15, he took his first start in an ARCA car in the Mobile 200 at Mobile International Speedway and, with a low budget team, finished an impressive 17th. During this time, Ronnie continued to attend regular school and will graduate from Pope John Paul II High School in Slidell, LA in May, 2018. While at PJP, Ronnie was on the varsity soccer team for 4 years, the Golf Team for 3 years, in the band for 2 years and in the Media Club for 3 years. His plans to are to attend Belmont Abbey College in the fall and major in Motorsports Management so that he can learn the business side of the sport he loves. 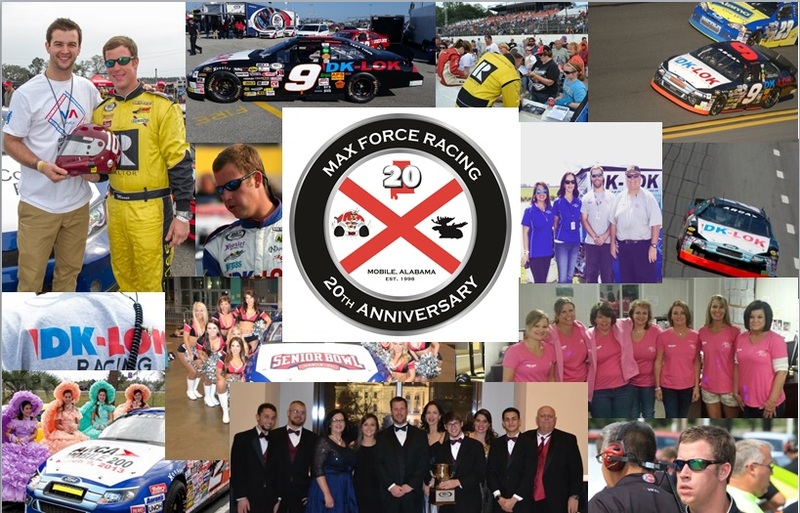 In January 2018, at the age of 18, Ronnie accomplished one of the biggest goals of his life by teaming with MaxForce Racing, out of Mobile, AL, and racing in his first ARCA race at Daytona, the Lucas Oil 200. His goals for 2018 include racing as many ARCA races as he can, as well as, continuing to race his Late Model. To enhance his skills, he will also race on dirt in the Sharp Mini Late Model.